The Economist recently declared 2019 'The Year of the Vegan'. There can no longer be any doubt that veganism, and the embracing of a greater plant-based diet, is going mainstream. Locally, the numbers show that 75% of South Africans who lead a healthy lifestyle are leaving meat off their plates at least once a week. SA also had the 5th highest sign-ups for last month’s global Veganuary campaign. In the US it is estimated that a quarter of 25 – 34-year olds identify as vegan and a market insights report by Innova has said that 38% of Americans are eating meat-free meals once a week, while in Germany that number sits at a whopping 69% and 53% in the UK. The Economist tells us that in the US, McDonald's has started selling vegan burgers and sales of vegan foods in the first half of 2018 rose 10 times faster than overall food sales. The Los Angeles school district is apparently planning to serve vegan meals in all its schools in the upcoming school year and the American Medical Association has called on hospitals to serve vegan meals. It is also worth noting that as the market grows, the European Commission will this year begin formally defining what is ‘vegan’ food which will build some legal assurances for consumers. Locally we have seen a significant upswing of the trend through retail and market changes. Mainstream restaurant chains like Afro's (a national fast-food chicken restaurant) and Panarottis have introduced plant-based menu options and big retailers like Woolworths and Checkers have introduced significant plant-based ranges. With the demand for meat-alternatives greater than ever, South African vegan food business The Fry Family Food Co. is experiencing impressive uptake abroad of their range of chilled plant-based products. Last year we (The Fry Family Food Co.) expanded into new territories like Sainsbury’s in the UK, Costco in Australia and our products are now available in the US – and 2019 will show further growth with new products and new markets. 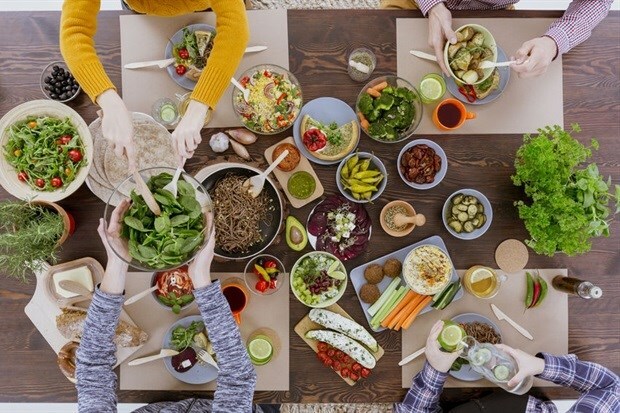 Further to this, there has been a marked increase in the number of plant-based restaurants opening across the country – including local brands like the Lekker Vegan which has opened its second venue in Cape Town. So why is this happening? Well, I have been in the plant-based protein business for over a decade and my family has been in the business since 1991, and I can honestly say we are witnessing a true shift in global consciousness – a massive awareness of the impact of animal agriculture on both the planet and our bodies. And the demand for products and the growing accessibility of products is a direct response to this. More and more consumers are understanding the health benefits of plant-based eating. Plant-based food contains zero cholesterol and very little saturated fats, and a diet rich in plants will help keep your body alkaline meaning less chance of diseases like cancer as well as improved sports recovery time. Of course, a diet of a wide variety of plants is going to give you an armory of important nutrients and anti-oxidants meaning heart-protection, better-balanced hormones, increased energy, a stronger immune system (fewer allergies, colds and flu) and will help maintain a stable weight. Other, lesser-known, benefits include deeper sleep, a stable and more positive mood, increased libido and better body odour. Environmentally, the positive impact of reducing meat is undeniable. Climate scientists at the United Nations have given us about 12 years to limit climate catastrophe – they have said we need to focus on 4-key areas: energy, land use, cities and industry. Multiple studies have shown that choosing to eat less meat is one of the most powerful changes you can make to your carbon footprint. This study, for example, shows that the least impactful animal farming is still more impactful than those of vegetables. It’s as simple as that. •	The United Nations Food and Agriculture Organization (FAO) estimates that livestock production is responsible for 14.5% of global greenhouse gas emissions). •	It takes over 15,000 litres of water to make 1kg of beef. •	Animal agriculture uses vast amounts of land (almost a third of arable land worldwide). This is why it is such a big cause of deforestation and desertification. •	Animal agriculture is the leading cause of water pollution and ocean dead zones. Animal manure is often used, untreated, as fertilizer for crops which releases hundreds of toxins into the soil, and thus our groundwater, rivers and oceans. We started this year with a relaunch of our Meat-Free Mondays endeavour to encourage South Africans to pledge one meat-free day a week. 2019 is about a new resolution for a food revolution. One day a week can make a world of difference. If all Americans ate no meat, chicken or fish for just one day a week, this would result in the same carbon savings as taking 19.2 million cars off the road in the US for an entire year or save emissions equivalent to 46 million return flights from New York to Los Angeles. I believe the business impact of the growing vegan and plant-based movement will be incredibly positive, because it is clear that this is what consumers want. But what interests me more is the positive impact just one meat-free day a week will have on our planet and on our health, and the health of our families. Tammy Fry, International Marketing Director of The Fry Family Food Co. and Director of Meat Free Mondays in South Africa. Read more: vegan food, veganism, Tammy Fry, plant-based food, The Fry Family Food Co.